South Carolina Project Learning Tree established a new program in our state – SC PLT Environmental Education Centers. 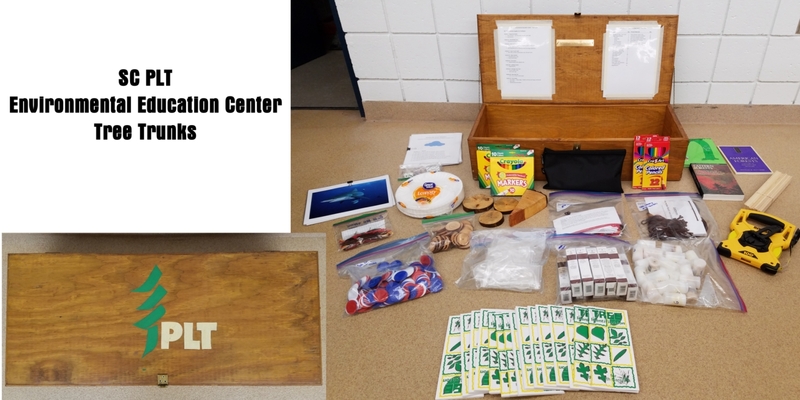 A PLT Environmental Education Center is a special designation for nature centers, museums, 4-H centers, school district sponsored centers, state parks, etc., that use Project Learning Tree. These centers agree to host at least one educator workshop per year and also check in/out its “Tree Trunk” to facilitators who are leading a workshop nearby. The Tree Trunk has materials to lead some of the most popular PLT activities for a workshop. Each center has a Host Site Director on staff and a Center Coordinator, who is also a PLT Facilitator, to handle workshop logistics. Through certification as a PLT Environmental Education Center, the host site is advised to sustain Project Learning Tree outside of the formal school setting and foster area partnerships. If you are a PLT Facilitator and interested in leading a workshop at a SC PLT Environmental Education Center or interested in renting the Tree Trunk for a local workshop, please contact your local Center Coordinator. The Center Coordinator may not be on staff but is the designated liaison for the site. Please contact them first for any facility inquiries. Click the center links on the map below for more information about our sites and their Center Coordinator’s contact information. 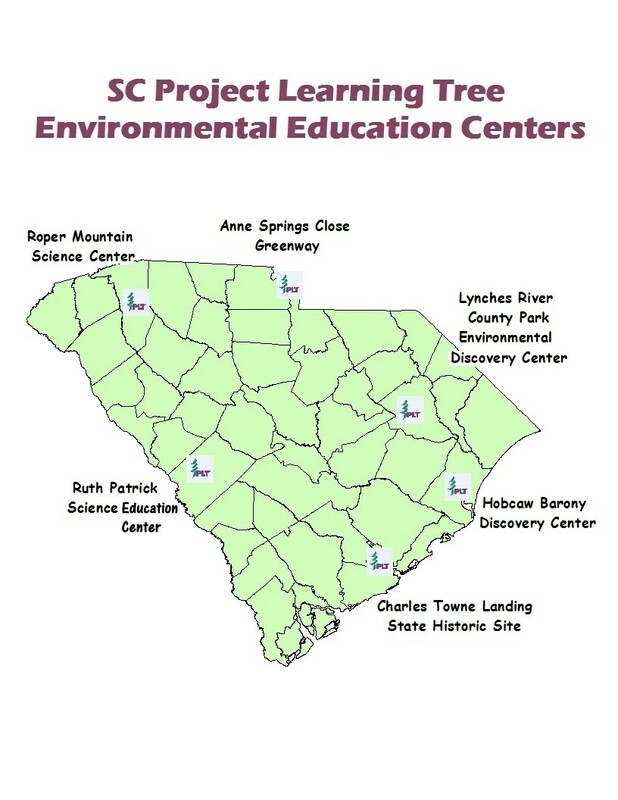 If you have general questions regarding the program - SC Project Learning Tree Environmental Education Centers - please contact Beth Foley at 803-896-8855 or bfoley@scfc.gov. The SC PLT Environmental Education Center Tree Trunks are available to borrow by SC PLT Facilitators only. A full inventory of supplies and suggested activities is listed below. If you are interested in borrowing a Tree Trunk, please contact your Center Coordinator for availability and more information. Tree Trunks must be checked out in their entirety. Individual supplies cannot be checked out on their own. Some links on this page require Adobe Acrobat Reader. If you don’t have Acrobat Reader you can get it free from Adobe Systems Inc. Adobe(R) Acrobat(R) Copyright © 2018 Adobe Systems Incorporated. All Rights Reserved.